A three hour flight north to Cairns, far from the hustle and bustle of Sydney. A comfortable 28oC is plenty warm enough for shorts and tee shirts. I love tropical north Queensland, deep red, orange and pink flowers of the ginger plants contrast beautifully against so many shades of vibrant green. 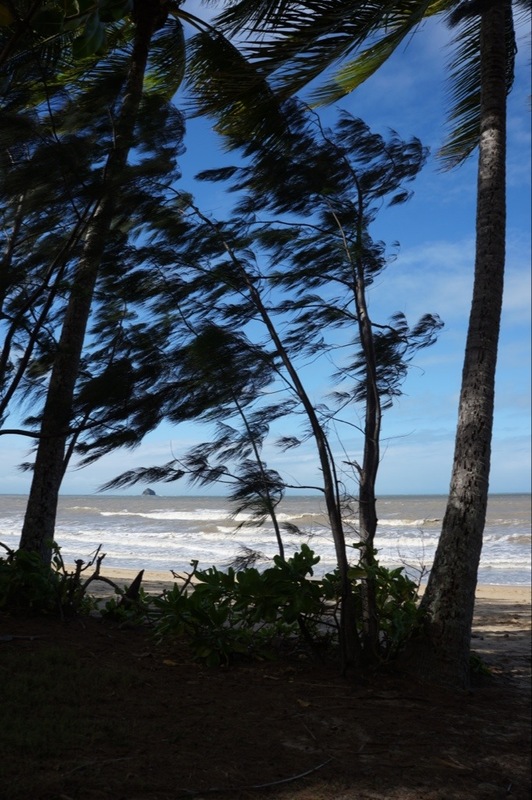 There was a strong breeze blowing in from the Pacific while we were having lunch in Palm Cove. love the photo, Robert. So much motion in a still image. Love the paradox.